handled to the affliated IRD Patent Office. 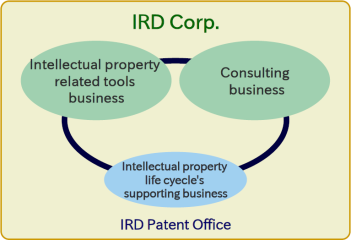 Please see the business service of IRD Patent Office for more information. We develop and sell various types of Patent engineering systems which support Patent Engineering by taking advantage of our technical knowledge of Patent. We provide consulting business centering on education, patent value evaluation and intellectual property related consulting. Please see "Education" for more information.